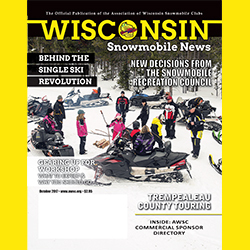 October 2017 - Midwest Sports Publishing Network, Inc.
(Haslett, Mich.) October 12, 2017 – The Backcountry Ascender Sled 360 partnership with the members of the International Snowmobile Manufacturers Association is entering its second season, supporting snowmobiling safety. The Backcountry Ascender Program is a free and simple backcountry and avalanche educator. The platform uses educational gamification and good-natured competition to encourage rider awareness and improve backcountry knowledge, skills, and practical experience. 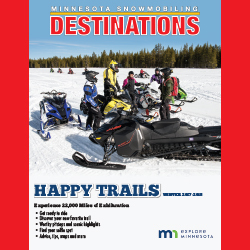 This season’s edition of Minnesota Snowmobiling Destinations is now online, available for free download. Get it now to learn all about the state’s riding regions, see maps, read regulations and more! 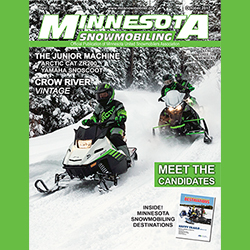 We know you’ve been waiting and finally, this season’s first issue of Minnesota Snowmobiling is now online and available for free download. 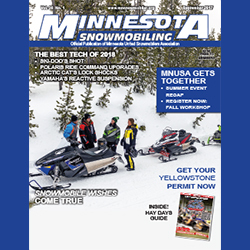 Share it online, take it with you anywhere, use it to encourage your friends to join a MNUSA snowmobile club and get a current hard copy of their own on the first of each month.